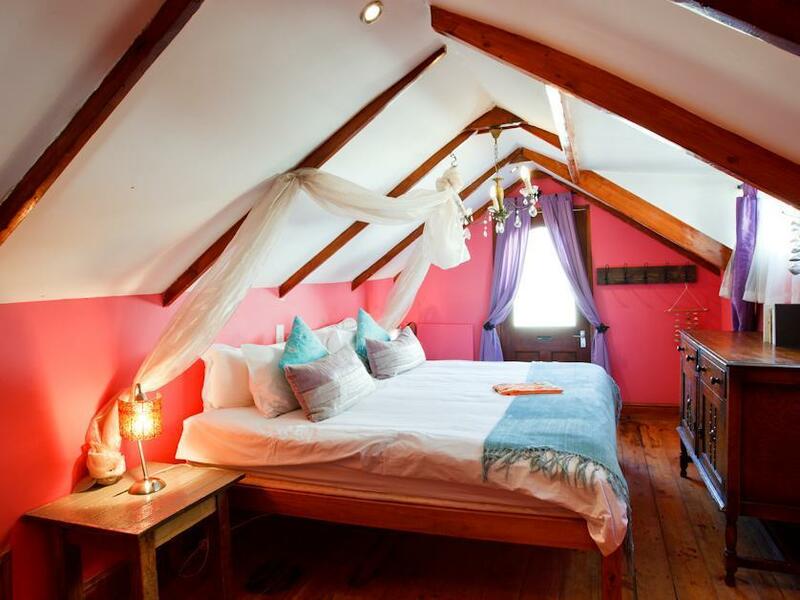 ﻿ Sweet Lemon Boutique Bed & Breakfast Cape Town. JIMAT di Agoda.com! 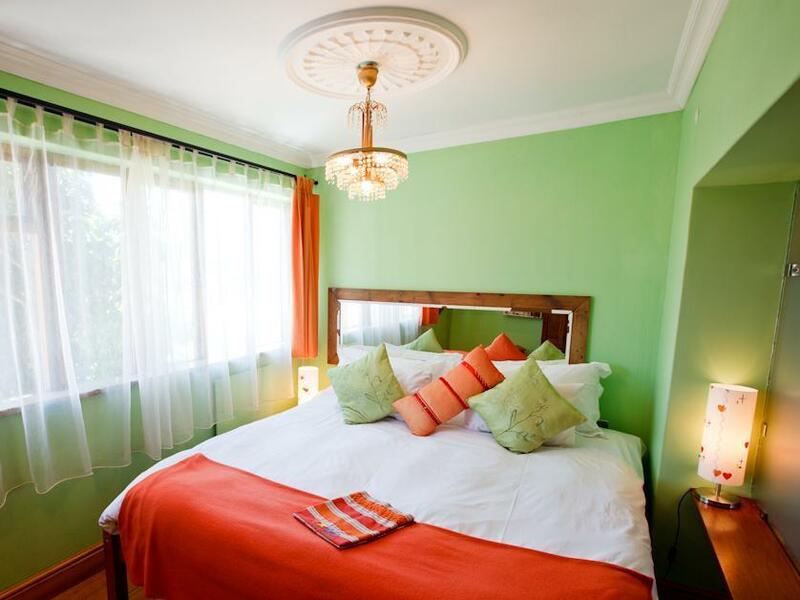 Ada soalan mengenai Sweet Lemon Boutique Bed & Breakfast? Direka untuk kedua-dua tujuan perniagaan dan percutian, Sweet Lemon Boutique Bed & Breakfast terletak di lokasi strategik di Sea Point; salah satu kawasan yang paling popular di bandar tersebut. Hotel ini terletak 2.5 km dari pusat bandar dan menyediakan akses kepada kemudahan bandar yang penting. Untuk pilihan bersiar-siar dan tempat daya tarikan tempatan, pelancong tidak perlu pergi jauh dari hotel kerana semuanya berdekatan dengan Pro Divers, Cape Sidecar Adventures, Sea Point Pavilion. Kemudahan dan perkhidmatan yang disediakan oleh Sweet Lemon Boutique Bed & Breakfast memastikan penginapan yang menyenangkan bagi para tetamu. Untuk menamakan beberapa kemudahan di hotel ini, terdapat pengemasan harian, pendiang api, khidmat teksi, daftar masuk/daftar keluar ekspres, simpanan bagasi. Hotel ini mempunyai 6 bilik yang sangat cantik, setiap bilik dilengkapi televisyen skrin rata, linen, cermin, tuala, bilik larangan merokok. Sama ada anda peminat kecergasan atau hanya mencari cara untuk bersantai setelah seharian bekerja, anda akan dilayan oleh kemudahan rekreasi kelas tertinggi seperti kolam renang terbuka, taman. 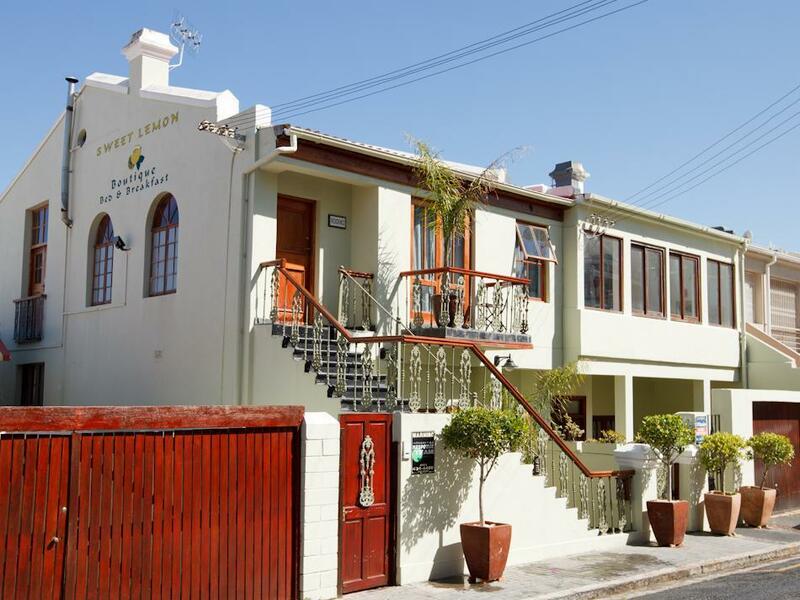 Sweet Lemon Boutique Bed & Breakfast merupakan pilihan yang bijak bagi pelancong ke Cape Town, menawarkan penginapan yang santai dan mudah setiap kali. No parking, unsafe mosaic toilet with sharp tile pieces not covered. We had a very clean and cosy Appartement with a breathtaking bathroom. 5 Minutes walk to the Promenade. The breakfast was delicious. Thank You Bridget 2 😀 and Innocent for everything! We had a splendid time. The only thing I missed was coffee facilities in the room. Nice place. I received a last minute discount and this made it worthwhile, I think the full price would be overpriced. VERY disappointed that there was very little attention drawn to the Cape Town drought, one tiny notice and nothing about short showers, no buckets in the bathrooms to save water etc. Disgrace. Good location, close to hop on hop off bus stop. Many good restaurants in the neighborhood. Clean and well decorated room. Staff very friendly. Breakfast good, but not very well organized when it was many people at the same time. No air condition in the room, and a fan that didn’t work, so we had to choose between a very hot room, or open the window, and be attached by mosquitos. The safe in the room was not possible to open after closing, so don’t put anything in it before trying the lock. No fridge in the room. We used the fridge in the kitchen for juice and vin, but somebody served themselves from our bottles every day. We could choose between a half bottle of cold white wine, or a full bottle of lukewarm white wine. The swimming pool was not very well kept clean. Maybe because of the water situation in Cape Town. Anyway it was a good value for money. Originally planned to stay for two nights extended this as we loved the place. Staff extremely welcoming and helpful. The breakfast is great. The pool is awesome. Location useful for table mountain, Clifton beach etc as well as central Cape Town. We are in SA for 10 weeks on this trip and will be back to stay here again. 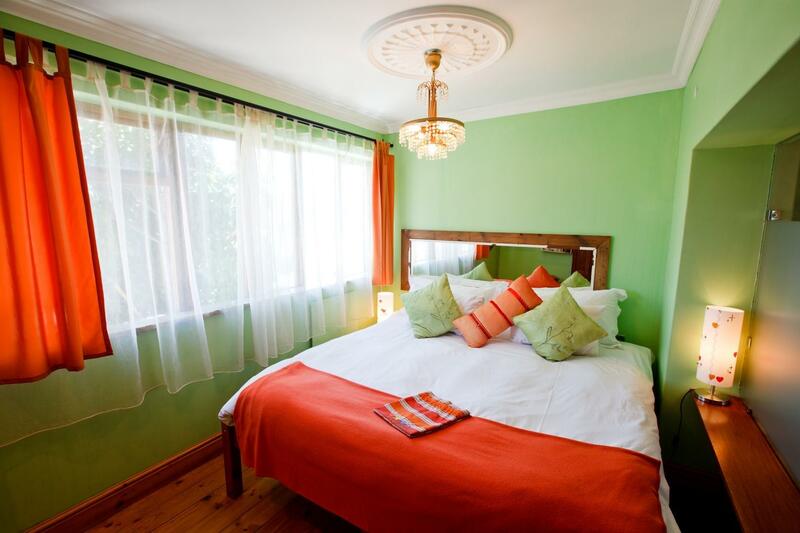 We were booked in for the Sweet Lemon house, however upon arrival were told that we were given a room at Sweet Orange. It would have been a lot more considerate if we were given a call beforehand informing us of the situation, that way after a long day of travelling we could have gone directly to the correct place. Other than that our stay was brilliant. This is my second stay at the hotel, again we recieved great friendly service from the staff. They made us feel at home. Very good, the Staff were very friendly and helpfull. We arrived at the guest house and nobody was on site, but there was a sign outside with a number to call for someone to come and check us into the Duplex room. 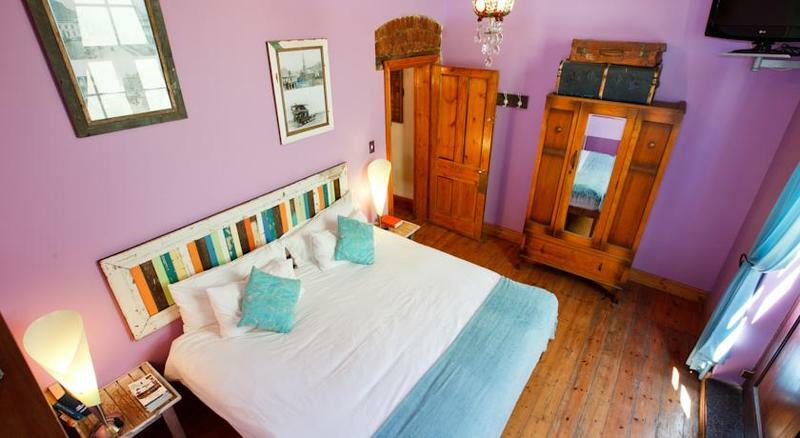 It was a decent sized room that was big enough to accommodate two people and the bed was relatively comfortable. However, if you are light sleeper, try to ask for another room that is on the second level. The shuffling and the activities in the room above us had caused some disturbance. Also, be sure to ask the housekeeper for some mosquito repellent. Breakfast is charged separately, depending on the rate that you chose for the room. There is no kettle in the room, but you can make tea in the kitchen nearby. There is only filter coffee, which means that you will need to wait for the housekeeper to make it in the morning, unless you get permission to use the coffee machine during the day / night. The small pool was in the process of being filled with water, so we did not make use of their facilities. 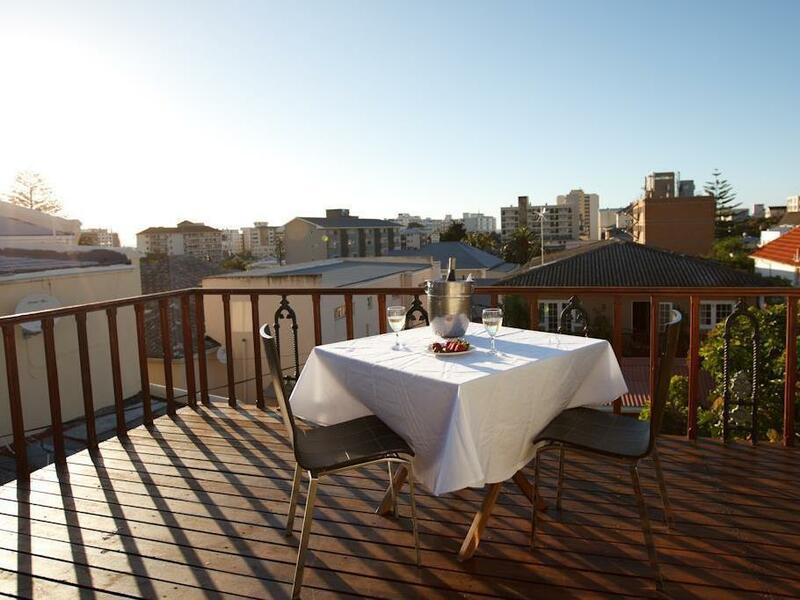 The location is quite central and you can easily access the MyCiti bus on High Level Road just a few minutes walk away. There is limited street parking and can get a little tricky to manoeuver. Even though the full payment was made on Agoda during the booking process, we still had to pay about R9-95 per person for "community tax". Overall, it was good value for money and the staff are really friendly, especially Thandi. This is more a vacation flat than a bed and breakfast. We were transferred to (and stayed at) sweet ocean view. The room was lovely, but there was no real interaction with other guests and/or the staff of the place after check-in; we were in a shared house owned by sweet ocean view across the street from their main place. Also, the place is located on a quite steep hill, making parking (at least for a manual transmission novice such as myself) somewhat difficult.